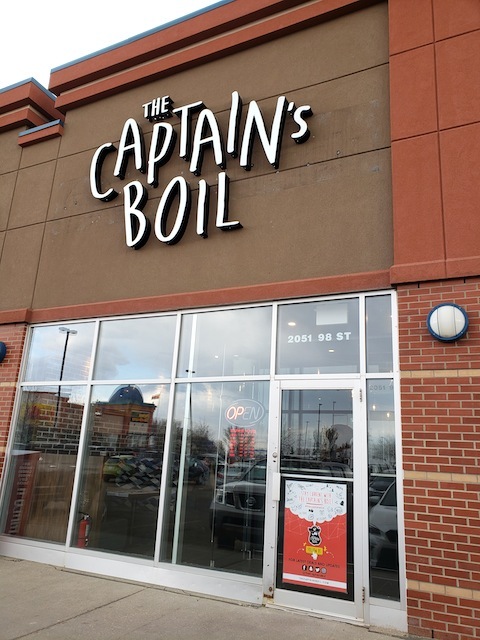 Captain's Boil, a Cajun seafood chain with approximately 30 locations across the country, has just opened in South Edmonton Common last week. 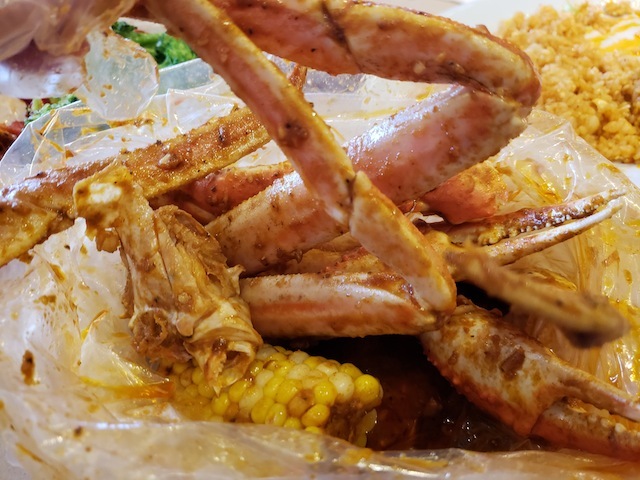 Their concept is to take fresh seafood, boil it, and serve it with delicious Asian/cajun spices. The place was relatively quiet considering it was their soft opening week, and it was only about 50% full during my visit. 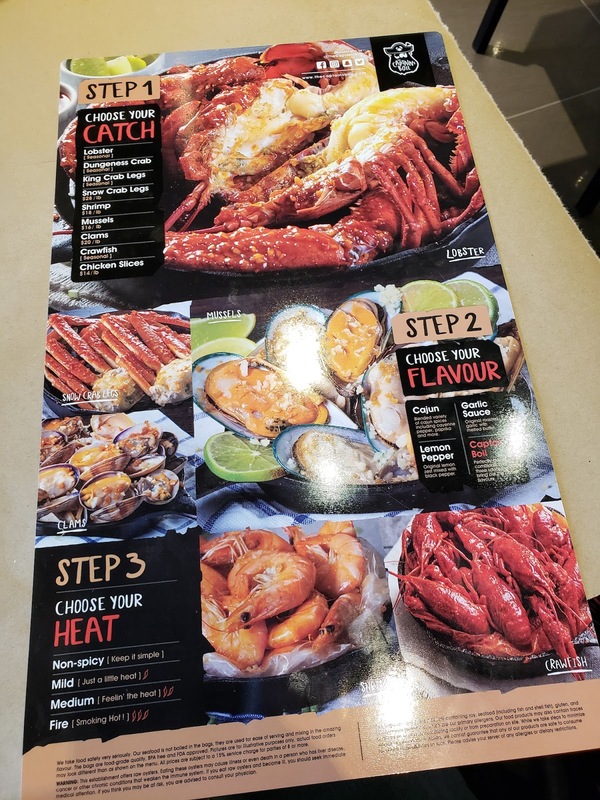 If you are ordering something that is mostly shell with very little flesh, you need 1-2 lbs per person depending on your appetite. For items with more flesh like shrimp or mussels, 1 lb would be sufficient. If you are ordering lots of sides, you can adjust accordingly. 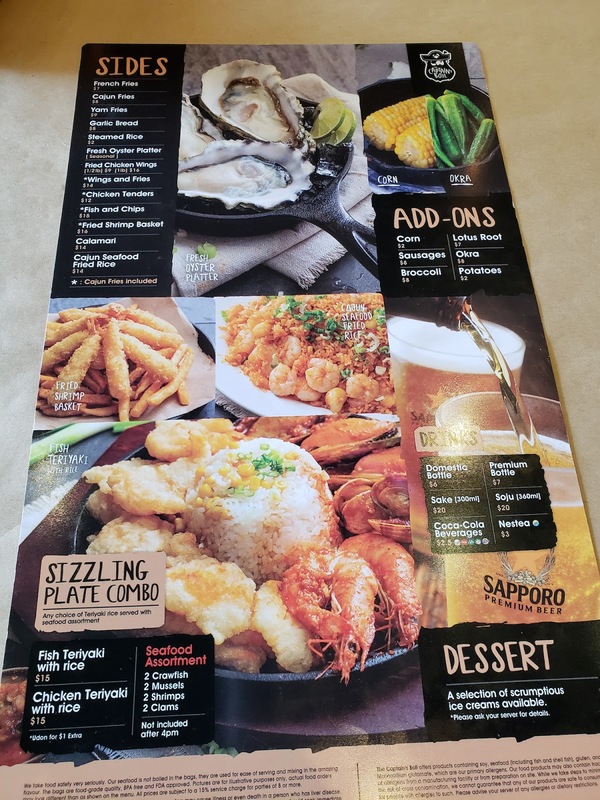 There are 4 flavours: cajun, garlic sauce, lemon pepper, and captain's boil (a combination of all 3 of the other sauces). I've only tried cajun and captain's boil. While I liked both, I actually preferred cajun because it already had a very complex flavour profile. The captain's boil just felt like too much going on at once, and it tasted very similar to the cajun except it had a much more pronounced garlic flavour. If you cannot take heat very well, choose non-spicy. Be warned, because their mild is probably considered a medium at any other restaurant. Now for the sides, DO NOT order veggies because they are extremely overpriced and will not fill you up. More on that later. If you want to leave the restaurant not feeling hungry, order lots of carbs for your sides. I heard the cajun fries is good. 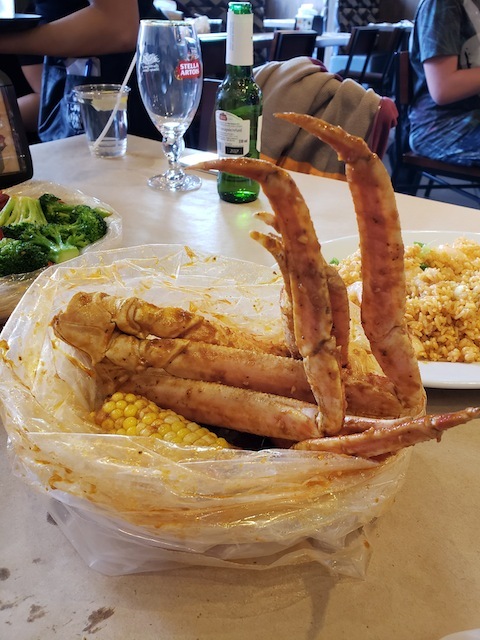 I was still missing a bib and gloves when the food arrived, so I asked our waitress to bring a set over. 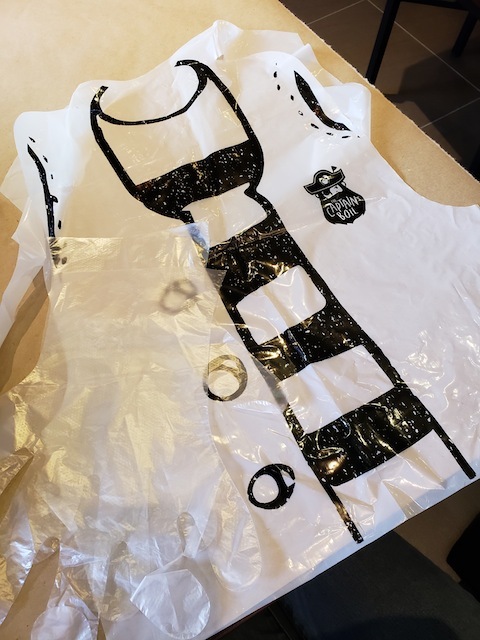 She came back with a bib and one glove. I checked to see everyone else had two gloves, so I asked her again and she apologized immediately and said she thought she gave me two. So like I mentioned earlier, she was very friendly with a great attitude, but just a bit inexperienced. 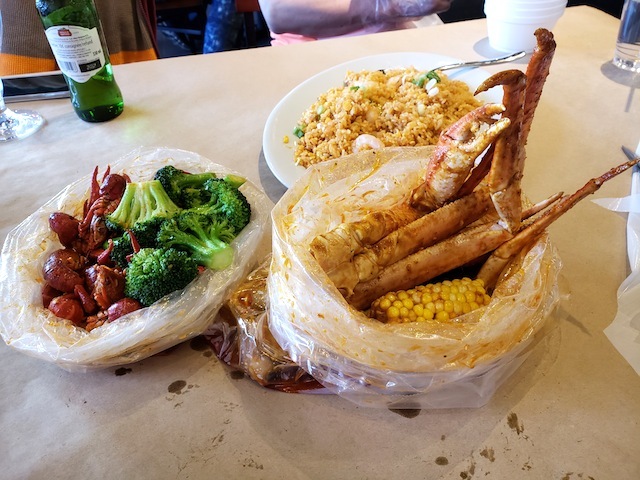 My order of crawfish and broccoli arrived in a plastic bag with lots of sauce on the bottom. 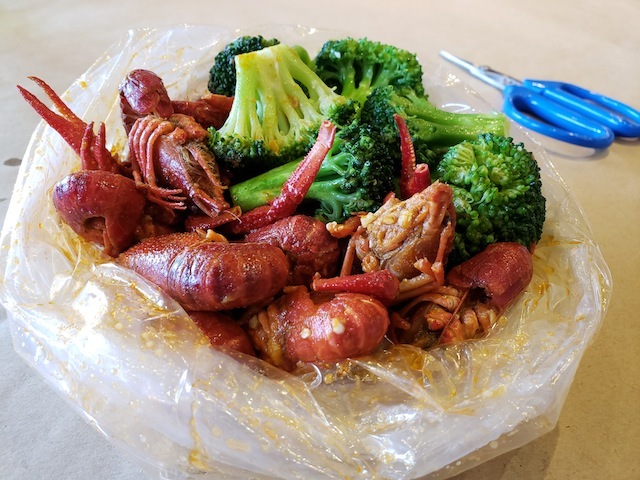 This is 1 lb of crawfish ($26) with a side of broccoli. 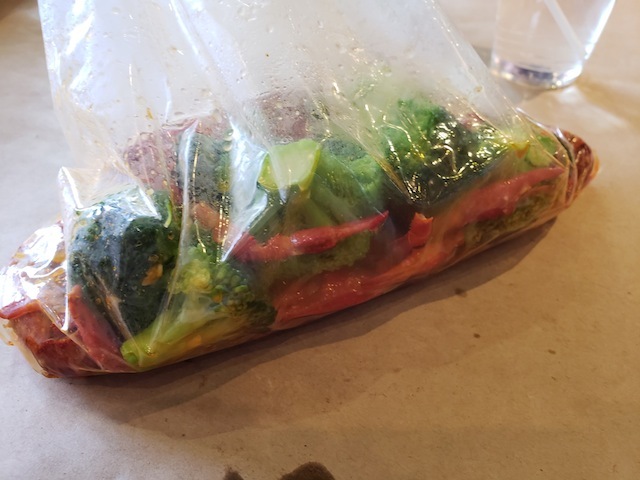 Can you believe that I paid $8 for these 6 pieces of unseasoned broccoli that were simply cooked in water and thrown into the bag? 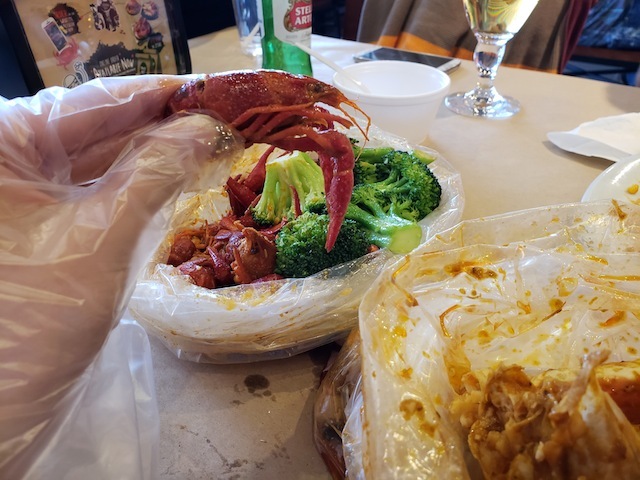 Also the crawfish were not that big and there was barely anything to eat... However, I have to say that the sauce was piquant, intense and downright addictive. The cajun seafood fried rice ($14) saved me from starving and was actually very good value for the price. 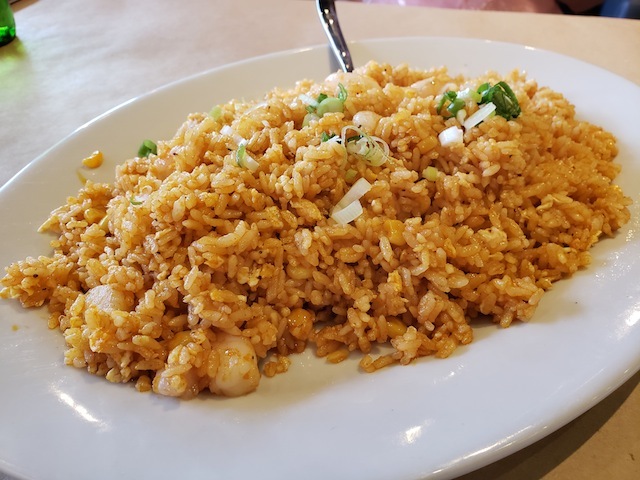 The fried rice was well-seasoned with cajun spices and there were lots of shrimp mixed inside. Definitely something I would order again. In conclusion, the meal below cost around $100 and was not filling by any means. I would still recommend this place and would probably go again just because the sauce was so tasty and addictive. But next time I'll be smarter and order shrimp and mussels instead, and lots of carbs for sides. Oh and another tip to stretch your dollar: pack the leftover sauce and crawfish claws home. Some claws and shells are too small to break open, but you can bring them home with the sauce to make a nice broth!